I was able to get the majority of the shower tiled during the two days. 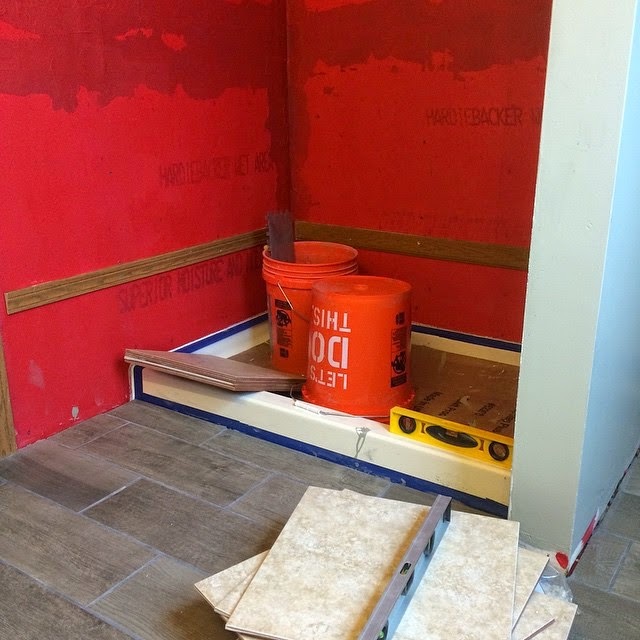 Doing the small accent tiles is challenging to make sure you aren't squeezing too much thinset mortar through and then making sure they are not sagging down and not getting any gap at all. But I have the top row and the bottom row still to do. I plan on cutting all those tiles today and then til them on Friday afternoon/evening. Then grout it on Sunday. 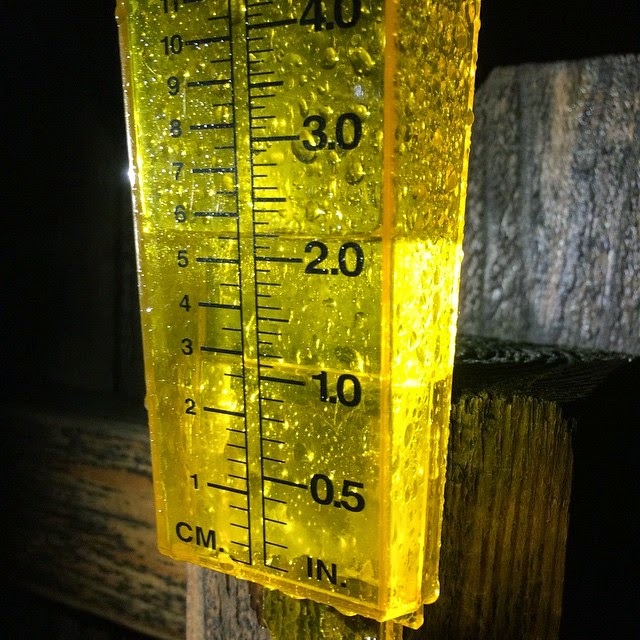 So we have already had over two inches of rain since midday Monday. So flooding is a big concern. Naturally there is a Flash Flood Watch until 6AM Friday because of all the rain we have had... and all the rain on the way. Central Ohio is in the Slight Risk for severe weather today. 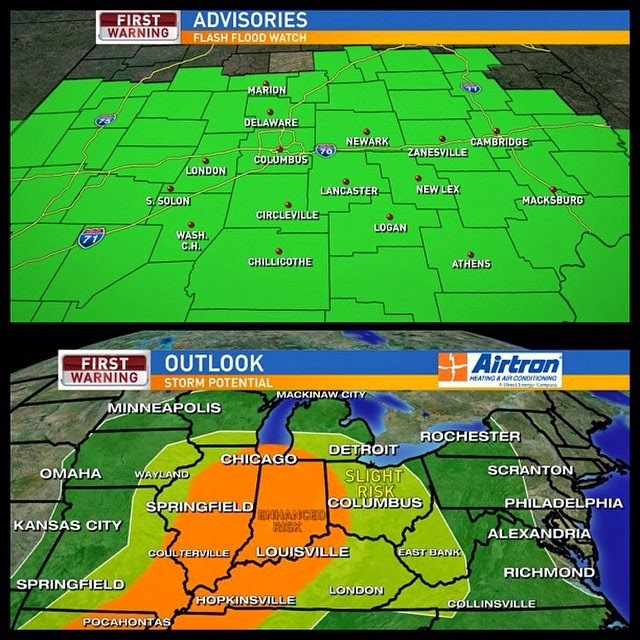 Western Ohio and Indiana is in the Enhanced Risk for severe weather. The main threat for the storms will be strong, damaging winds. Hail is also possible and even a possible tornado cannot be ruled out. Be sure to stay weather aware. The strongest storms look to be during the mid afternoon. A few lingering showers and storms tonight, then the rain leaves early Friday with a cold front. Then we stay breezy this weekend, but dry and sunny. So a really nice weekend! More storms next week. Have a good one!